Heating and drying are important processes involved in the manufacturing of different products. Although many processes are similar across industries, there are differences in the wavelength of the heat that will be most effective applied to the product for the purpose of heating, drying, and finishing it. Nowadays, the demand for specialty products made from exotic materials such as high temperature synthetic polymers and hard alloys is on rise. These products also have specific heating and drying requirements. This is where Casso-Solar Technologies can help. We specialize in the design and manufacturing of custom infrared (IR) heating systems to meet our customers’ needs. All our IR systems are proven to deliver the heat in required wavelengths and minimize the energy consumption in different industrial settings. Casso-Solar Technologies individually designs equipment to meet the demands of our customers. Processes are tested in our laboratory to determine feasibility. Customer's are encouraged to be involved in all stages of the development process. At Casso-Solar Technologies, we have been regularly improving our technologies and designs. Our wide variety of experiences have helped us serve diverse and complex client requirements with ease. The following benefits of our heating systems have made them popular among clients. Customized Heating Systems: This is our specialty. Many of our systems are one of their kind and were designed hand-in-hand with a customer to solve a specific problem. We will design and build our equipment to custom fit your facility and your process. Embossing, Thermoforming, and Laminating: In the plastic industry, surfaces of the plastic materials and films are heated prior to laminating and embossing. The heating needs to be done homogenously, thus, we provide tubular and flat panel heaters that ensure uniform heating on the surfaces of plastic materials. We also provide the heaters for embossing and laminating textiles. Film Stretching: Films are heated prior to stretching. 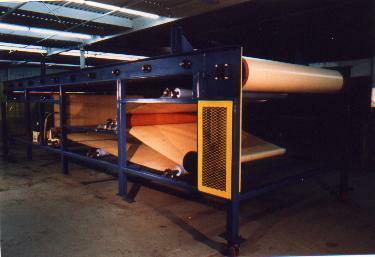 We provide various types of heaters that helps prepare the film for stretching, coating drying, and laminating. Curing and Drying: Many powder coatings, varnishes, and paints used in various industries require heat for curing and drying. We provide heaters that can be easily adjusted to suit absorption wavelengths of the paint. Heating and Pre-Heating: Whether the target parts are made of glass, textiles, paper, plastic, or metals we can determine the proper wavelength of energy to heat these to a target temperature. The heat needs to be applied at the right time, and uniformly through the surface. This is where we can help by providing heating systems for custom products. User-friendly Operator Interfaces: Our systems are equipped with user-friendly operator interfaces, which allow users to see and set heat settings as required. There are programmable timers that allow them to control the process and avoid overheating or under heating. Recipes can be created to allow for easy recall of appropriate settings. Energy Savings: The infrared heater system can be adjusted to the required wavelengths, power, voltage, and shape of the product. This helps in improving the process speed as well as save energy that may be wasted due to heating more area than necessary. Do you want an IR system that meets your specific process requirements? Please call us on 845.354.2010 to know more. © 2019 Copyright Casso-Solar Technologies LLC.